Appointment of Dennis Williams comes amidst leadership shake-up. Dennis Williams is expected to become the next president of the United Auto Workers Union. Local union leaders have selected Dennis Williams, the union’s current secretary-treasurer, as the United Auto Workers Union’s next president amidst what is expected to be a substantial change in the union’s top leadership. Under the arcane procedures used to select the union’s top officers, the UAW’s administrative leaders picked the 58-year-old Williams as their official nominee to succeed current president, Bob King, at the union’s constitutional convention next June in Detroit. The public announcement followed a caucus meeting in Dearborn. Off-the-record discussions with union officials, both active and retired, had indicated that Williams was the overwhelming favorite to succeed King. “You hear lots of things but the decision already been made,” said one knowledgeable insider before the caucus convened. From his position, as the union’s treasurer, Williams has watched over the day-to-day administration of the union, while King traveled extensively to build support among unions in Asia and Europe for the UAW’s drive to sign up members at non-union “transplant” assembly plants. That has been a critical – but unsuccessful — goal of the union for the last two decades. But King’s efforts to define union membership as a human right has put executives at Volkswagen of America and Nissan on the defensive. The union has mounted a year-long campaign at the Nissan plant in Canton, Mississippi and, with help from the German metalworkers union, IG Metal, its drive at the VW plant in Chattanooga, Tennessee is gaining momentum. Harley Shaiken, a labor expert at the University of California-Berkeley, said King’s successor will definitely continue the organizing efforts across the South. The UAW is also targeting the Mercedes-Benz plant in Tuscaloosa, Alabama. Meanwhile, one of the top union officers who has worked closely with King and his predecessor, Ron Gettelfinger, also announced his retirement. UAW Vice President General Holiefield announced that he will not seek re-election and will retire at the union’s Constitutional Convention in Detroit. Holiefield was elected to a second term as a UAW vice president at the UAW convention in 2010 and directs the union’s Chrysler, Heavy Truck and General Dynamics Departments. The union leader’s fate had become a subject of speculation and rumor for more than a month before Holiefield himself weighed in. “Without General’s leadership, there wouldn’t be a Chrysler today,” said UAW President Bob King. “During the nation’s great economic crisis and its horrendous effect on the auto industry, General Holiefield demonstrated the leadership that helped guide Chrysler back to profitability and on to the great success it has achieved in the marketplace. The jobs of UAW members working at Chrysler are more secure today because of General,” said King. Holifield and King’s retirement are expected to create opportunities for younger union leaders, notably Gary Casteel, the union’s regional director in the southeast who has been in day to day charge of organizing efforts at VW, Nissan and Mercedes, and UAW vice president Cindy Estrada, who has been active in building alliances with outside groups. Williams, a long-time staff member in the union’s agricultural implement department before becoming a regional director in the Midwest, is untested in one key aspect. He has never taken a leading role in negotiations with the Detroit automakers. But he played a key role in critical talks with Caterpillar and is a member of the committee responsible for the union’s retiree health funds, known as VEBAs. 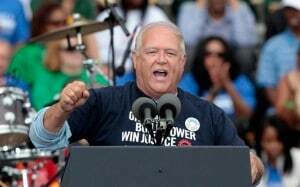 The incoming UAW president is also considered one the union’s top political strategists. While regional director, he supported a then-obscure state senator named Barack Obama in the 2004 Democratic primary for a U.S. Senate seat from Illinois in the face of intense opposition from other elements of the Democratic machine in Chicago. Williams, who comes from Iowa, also is credited with helping engineer Obama’s upset win in Iowa’s Presidential caucuses in 2008. The win in Iowa gave Obama the momentum he needed to upset the heavily favored Hillary Clinton for the Democratic Presidential nomination in 2008. Williams remains close to Obama, insiders said.